We have all-time highs in employment for minorities and a fifty year high for women. That didn’t happen in a vacuum. That happend while we have huge retirement at the same time. 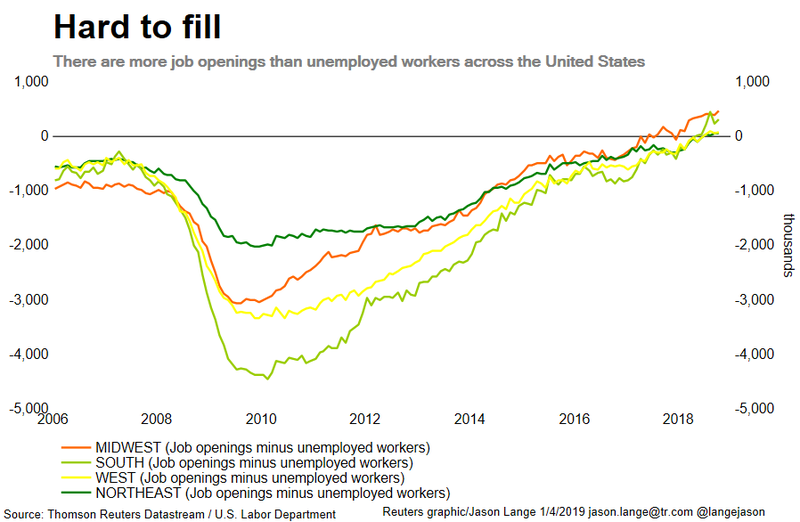 There are more jobs available than there are workers. Obama never had that situation in 8 years. Why cant you just admit the trends are the same? Explain that to the Congress - BOTH sides. Spending is a function of the Congress, as you well know. We have the highest number of Americans employed ever - even during this time when baby boomers are retiring en masse. We have the best employment ever of minorities and the best employment of women in 50 years or more. 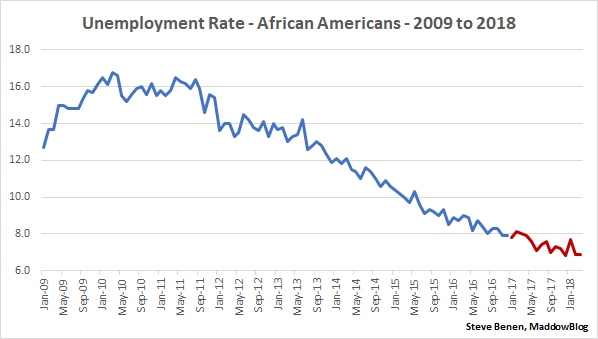 And it has nothing to do with how fantastic the employment situation is. The employment situation is great because of the corporate tax cuts and the deregulation - both of which has super-charged business - ESPECIALLY small business, which hires the most people from the typical unemployed rolls, first. So… Is that an argument that deficit spending not seen since the economic collapse is a good thing? We have already been down this road. NO ONE SIDE can be responsible for the deficits as no one side can control the budget, but it is the CONGRESS that has to attempt to do it. Whenever a president tries to he is condemned for closing the government. Lay the blame for deficits where it properly belongs - with the budget-makers of BOTH parties in the Congress. This current budget and tax code are completely on the GOP. The increased level of deficit spending is completely on the GOP. And AGAIN, you cannot make gains as easily when you get nearer to full employment AS YOU KNOW but refuse to acknowledge. Yet Trump has made them - even in the face of massive retirements, which make gains EVEN HARDER, all other things being equal. Get over it. 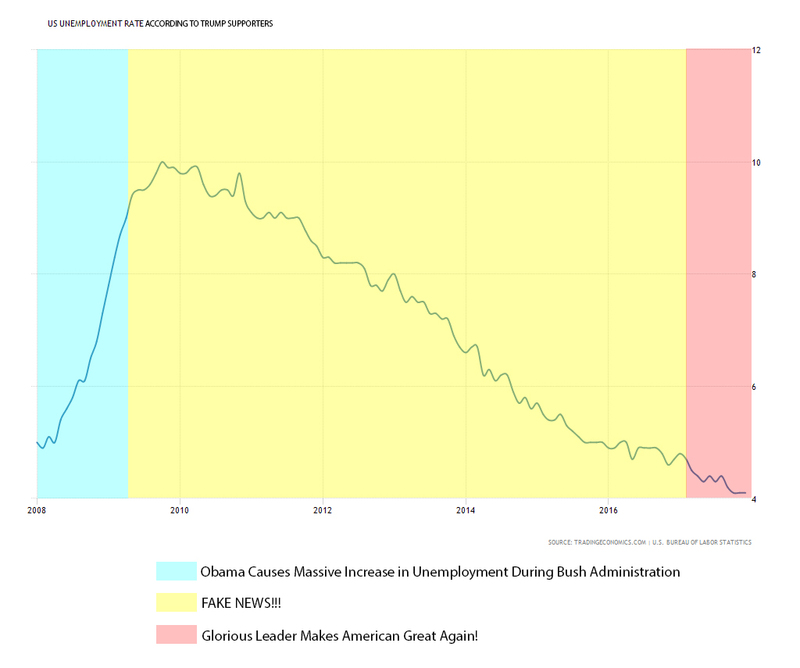 Trump is just a great job creator. Why should it be a surprise that a businessman would know how to best create jobs? Excellent news. Your hyperbole notwithstanding of course. You keep on repeating this as though it means that its better and more valuable than what Obama did, its not. Except Donald Trump said Mexico would pay for it.